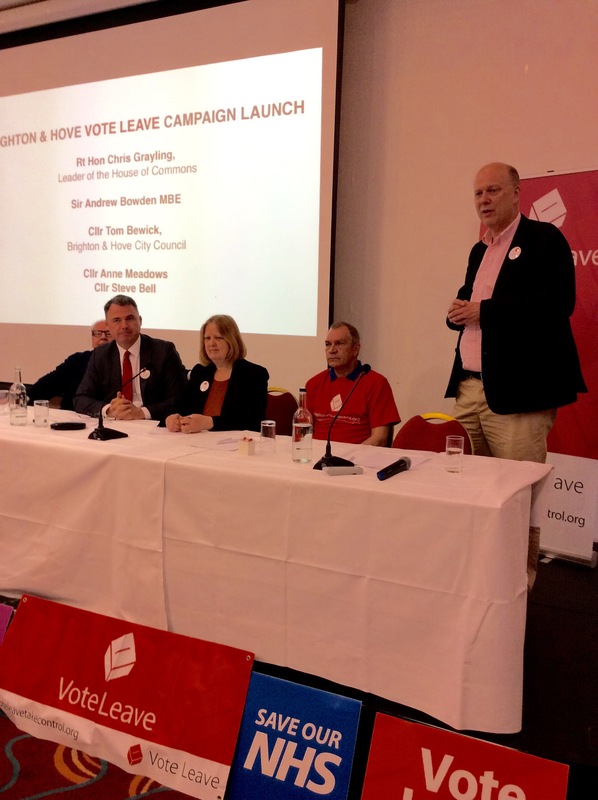 Dozens of people attended two events in Brighton as a cabinet minister fired up the cross-party Vote Leave campaign at the weekend. Chris Grayling, the Leader of the House of Commons, spoke about the referendum on Britain’s membership of the European Union taking place next month. After a photoshoot outside the Royal Pavilion, Mr Grayling addressed campaigners at the Jury’s Inn Brighton Waterfront hotel, telling them: “We’ve got an important job to do over the next eight weeks. He focused initially on trade, saying: “We are the principal country in the Commonwealth but we can’t make our own trading arrangements with the Commonwealth. “Switzerland has managed to negotiate free trade arrangements with more of the world. But, Mr Grayling said, it’s also a city where people want to get on the housing ladder, be able to see a doctor and choose a school for their children. Those things were harder, he said, when we don’t have control of our borders and the number of people arriving in Britain is equal every year to a city the size of Newcastle. Of migrants, he said: “They are great people who will make a great contribution to our economy but we can’t currently build fast enough to house them. ﻿Mr Grayling also reminded supporters about the dire warnings by prominent Remain campaigners when the single currency – the euro – came into use. But Britain had thrived outside the eurozone while countries like Greece and Spain had suffered. He was followed by fellow Conservative and former europhile Sir Andrew Bowden, who served as the MP for Brighton Kemptown from 1970 to 1997. As a result, he said, Britain would have no control over ket foreign policy, military, economic and financial decisions. But because we never wanted another world war, Sir Andrew said, we signed up for something which we were told would bind us through trade. Instead, we have ended up losing “our freedom, our rights and our sovereignty”. He said that he voted to stay in when the last referendum took place in 1975 having been persuaded by Ted Heath, who was Prime Minister when Britain joined what was then known as the EEC (European Economic Community) – or the Common Market. The meeting, chaired by Labour councillor Anne Meadows, heard from another Conservative, Councillor Steve Bell, who said: “It’s good to see so many people here from all parties and none. 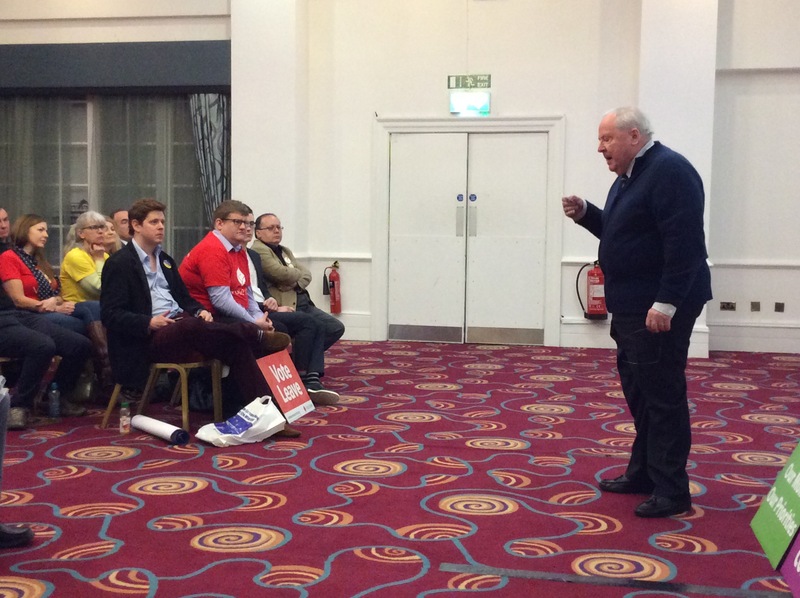 He quoted the former Labour leader Harold Wilson, who was Prime Minister when the last referendum was held, saying that it’s a vote not just for yourself and your children but your children’s children. He set the issue in an historical context, saying that the Battle of Lewes took place a few short miles away in 1264. He said that he wanted to be able trade more freely with the economies of Asia and elsewhere and said that, outside the EU, Britain would be better placed to do that. He also said that if Britain left the EU it would be better able to control public spending, deal with the pressure on local school places and on the National Health Service. The referendum takes place on Thursday 23 June. I’m glad it was ‘dozens’ and not ‘hundreds’ or even ‘thousands’. More swivel eyed Xenophobes on the loose. 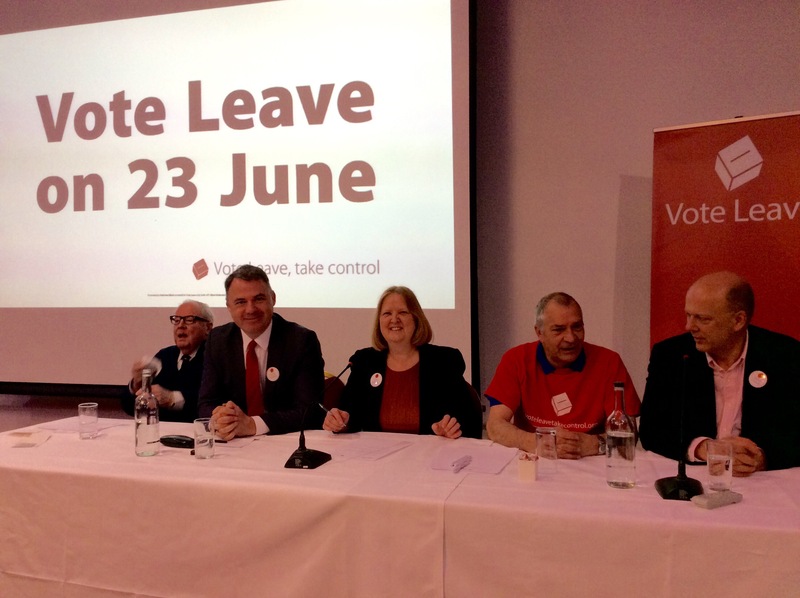 I was at this meeting and I had the good fortune to speak to Mr Grayling afterwards. I found him to be the genial fellow I was expecting, and he let me into a little secret. Once we’ve freed ourselves from Europe and sent the Scots packing into the bargain, the present ‘PM’ Mr Cameron will be nothing more than an empty skin with no skeleton or muscles on the inside! So much for Comrade Corbyn either he is nothing but a sawdust-filled carrier bag. In an England and Wales and Northern Island run by Grayling we will truly see this country become great once more, and France and Germany shall be forever in our shadow. The EU has done a few good things – like outlawing battery hen caging and the human rights act which wiuld not otherwise have happened. Since 1975 and our IMF bailout what has really boosted the economy, while also destroying us as a socuety, is Capital-Gains-free house trading and hoovering of property by people living abroad. Pre-EU the low-paud could buy property and renting was easy. Since joining the EU our streets have become home to rocketing numbers, the NHS has begun to crumble; but maybe Brexit and breaking up that 3rd tier of governance based in Brussels would rescue Greece and Spain and once the EU crutch is thrown away, I reckon the whole continent will calm down, with each according to his means again having some meaning and Putin no longer having reason to buzz our airspace and seethe over Ukraine.